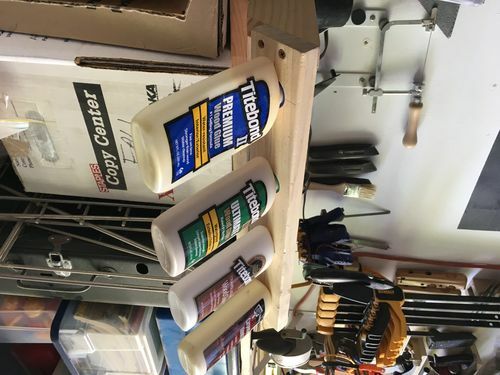 Shop Tips #1: I hate waiting for glue to come out! 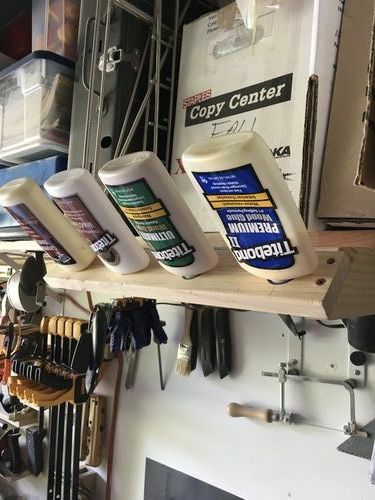 When I go to glue something the glue I need is always across the shop. Then I have to wait for the glue to slowly ebb to the nozzle. I put my 4 most used types in the holder pictured. The glue stays at the nozzle and its right above my bench at arms reach. You can modify this to go up against a wall or hang on your bench to suit your needs. Good idea I like it. That is a good solution. I recently switched over to this and wish I had done so sooner. Great idea! I think I’ll try it. If I have a big project and I have the right glue in one of my two I’ll use it. Plus I find buying and using small bottles keeps my glue supply fresh. I followed Jim Jakosh’s advice and put my glue into empty mustard squeeze bottles, it comes out easier, faster, and doesn’t clog as much. 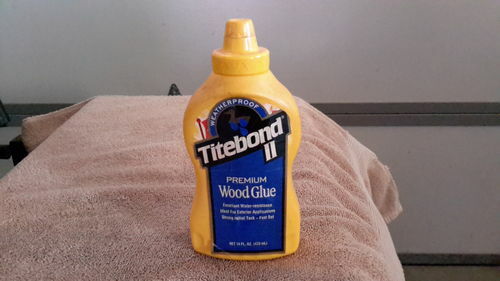 In order not to mistake it for mustard I applied the label from the Titebond bottle.